Today we are saying hello to fall with a simple, roasted veggie recipe. This time of year means abundant produce and farmers selling baskets full of red, ripe cherry tomatoes at the market. If you’re ready to take your cherry-tomatoes to the next level (and make them last longer), this recipe is for you! Let’s make some simple roasted cherry tomatoes! I love cherry tomatoes, but eating them raw does get old after a while. Roasting them adds a new texture, creates an earthy flavor, and preserves them for longer use. 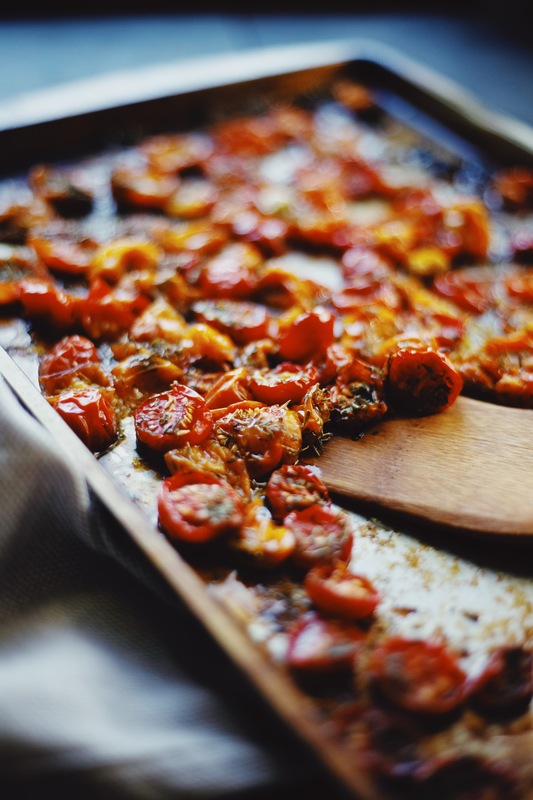 My roasted cherry tomatoes recipe is one I rely on so much this time of year. 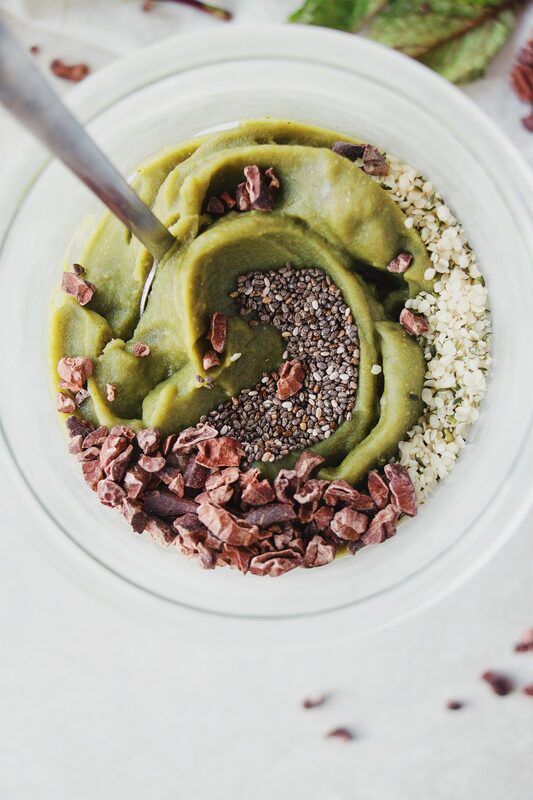 It is simple, requires very little work, and goes well with everything from toast to salad! 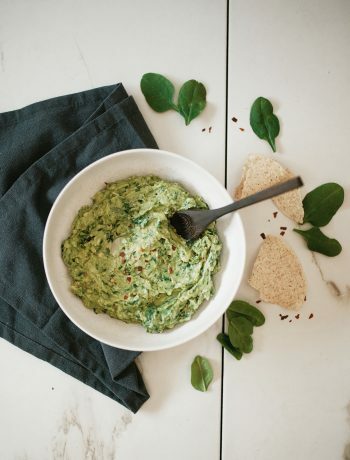 For more recipes like this, check out my late summer salad with tahini dressing, chickpea salad sandwich, avocado pesto pasta salad, and mediterranean quinoa salad. 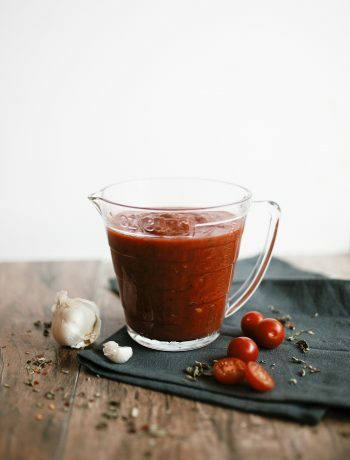 My simple roasted cherry tomatoes recipe is simple, requires very little work, and goes well with everything from toast to salad! 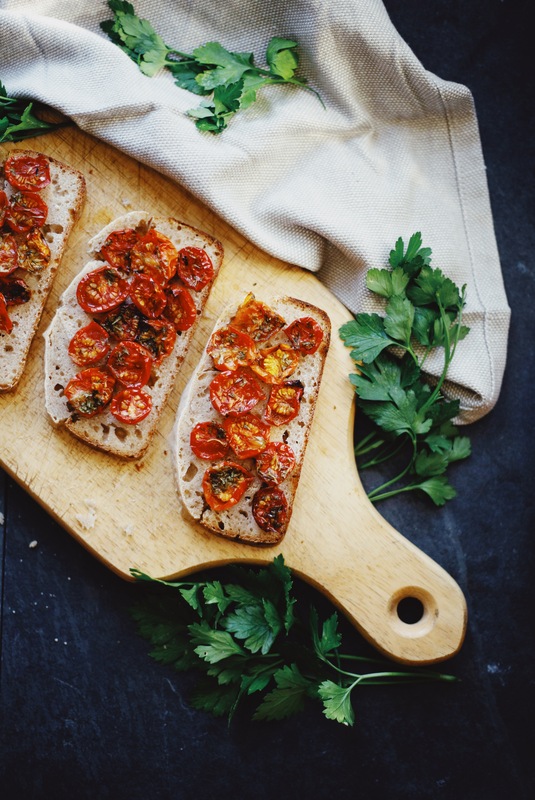 With only 6 ingredients you can have these delicious tomatoes on your table in no time. 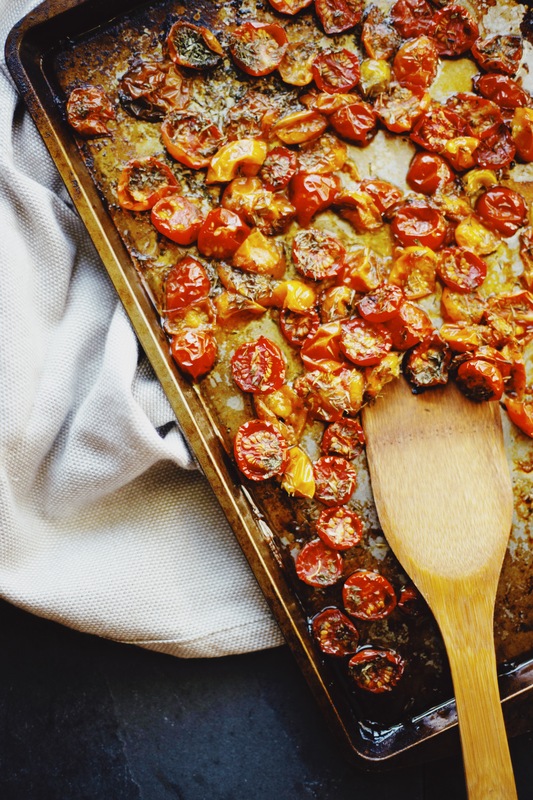 Preheat oven to 275 degree F.
Arrange cherry tomatoes on a large baking sheet, cut, flat side up. Drizzle with olive oil so tomatoes are well-coated. Sprinkle with thyme, parsley, sea salt, and black pepper. Roast for about 2-2½ hours—or until tomatoes start to shrivel and blister. 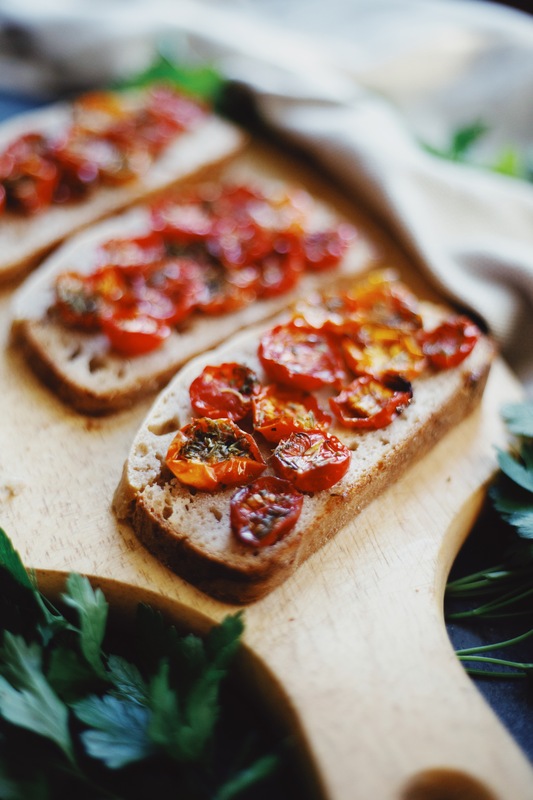 Enjoy tomatoes with fresh bread and drizzled with extra olive oil. These tomatoes also make great additions to salad, pasta, or soup. Leftovers will keep refrigerated inn airtight container for up to 5 days or in freezer for 2 months. Nutrition information is for ¼ of the recipe (about ½ cup) without bread or extra olive oil.